Patriots player Julian Edelman posted on Twitter Tuesday evening encouraging fans to donate to the victims of the Hampstead, New Hampshire fire. According to the Union Leader, the fire broke out Sunday night at the Ward family's home on Jack Rabbit Run. It only took about half an hour for the fire to destroy the entire house, leaving Jon Ward and his children Kate, Sam, and Jackson homeless. The Wards lost their mother Monica in 2014 to a battle with cancer, making the holidays already a difficult time for the family. 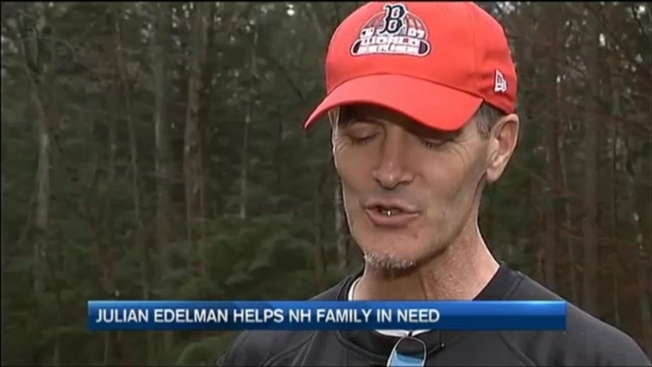 Jon Ward told necn that Edelman's retweet of the GoFundMe page "has boosted support" and he can't believe "Edelman stepped out in the limelight" for the family. In total, over four days, two GoFundMe pages have raised more than $70,000 for the family. "It's almost like a wave, and it's sort of just picking us all up and carrying us to shore," Kate Ward said.